enjoyed sweet victory with Donegal in the senior football championship. 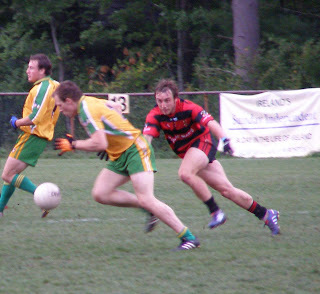 One of the biggest questions on my mind going into the 2010 Boston Senior Football Championship was whether reigning champions Christopher’s could make another run at the championship. As it turned out, Christopher’s did not make the semi-final, but in a playoff knockout game, gave eventual champions Donegal, the best challenge they received in their last 3 games. Donegal themselves had sputtered through the season, however, once full fitness returned to some key players, the northerners proved to be too powerful for both Wolfe Tones in the semi-final and McAnespies in the final. 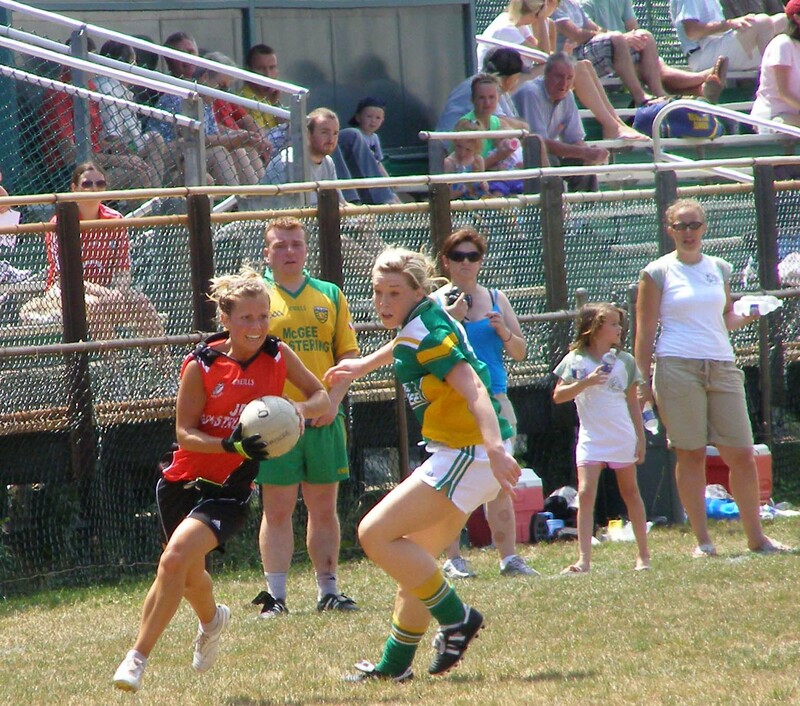 Fielding a physical and fit side, Donegal showed hardly a vulnerable point in their final performance. Laois duo, Ger Reddin at Center Back, John O’Loughlin at midfield, shone in the final, while Malin man Brian Kelly produced a virtuoso performance in the forward line to bring the Donegal club the third senior football championship in the club’s history. 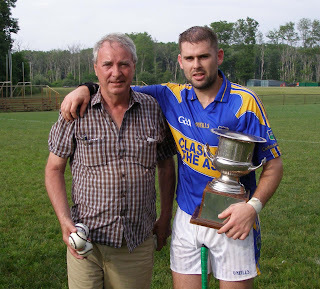 to the Sheehan Cup and the Boston Hurling CHampionship. ﻿ Galway broke the hoodoo over their Brighton rivals, Wexford, and made it to the senior hurling final for the first time in a several years. Unfortunately for the Tribesmen, they faced a Tipperary team that was tooled to repeat their championship victory of the previous year. Kieran Joyce, an up and coming prospect for his native county of Kilkenny, anchored the back line, while the prolific free taker and Kilkenny intermediate player, Martin Boran, kept the scoreboard ticking over throughout the game and Galway never had a chance to make any kind of run. With the field in the ladies championship reduced to the two “original” teams, Tír na nÓg easily won the best of 5 games at 3-1 over the Boston Shamrocks. This represented an inverse of sorts from the early years of the Boston ladies competition when the Shamrocks held an air of invincibility. The Shamrocks, however, took the Orla Benson Cup on final day and won the junior championship making it two out of three trophies for the ladies in green and gold. 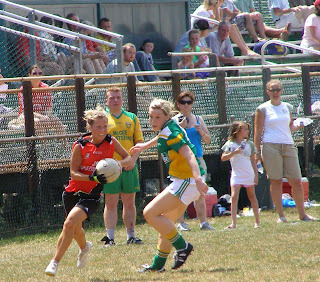 winning the Ladies senior championship. Shannon Blues captured the intermediate championship with a five point win over arch-rivals, Kerry. A point of note was that the Blues fielded two American Born players in the final, Pat Murray and Conor Fitzgerald. Two more championship medals for players who came through the youth system to follow on the remarkable Christopher’s victory of a year ago at senior level. Donegal almost stole the junior A championship from Aiden McAnespies in the most dramatic of the local finals. McAnespies looked to be on their way only for Paul Boyce to put Donegal a point to the good with an opportunist goal. James McCrudden proved to be the hero for Macs with two poised scores to deliver the trophy to the Southie boys. The Connemara Gaels won the junior B title with a win over Galway in the final. Tyrone men Kieran Cox and Kevin Owens provided two of the Gaels’ goals, while Aaron Jenkins provided the third in a comprehensive win. Fr. Tom’s had something to cheer winning the junior hurling championship over Wexford with a last minute goal from the unlikeliest of sources, Robbie Croft. Croft usually ply’s his trade in the corner for the Kerry footballers, but proved to be a valuable poacher for the Tom’s junior hurlers. Croft scored a goal in similar fashion to propel Tom’s into the final, and facing defeat did the same, getting on the end of a John Cuddy free to net with time running out. 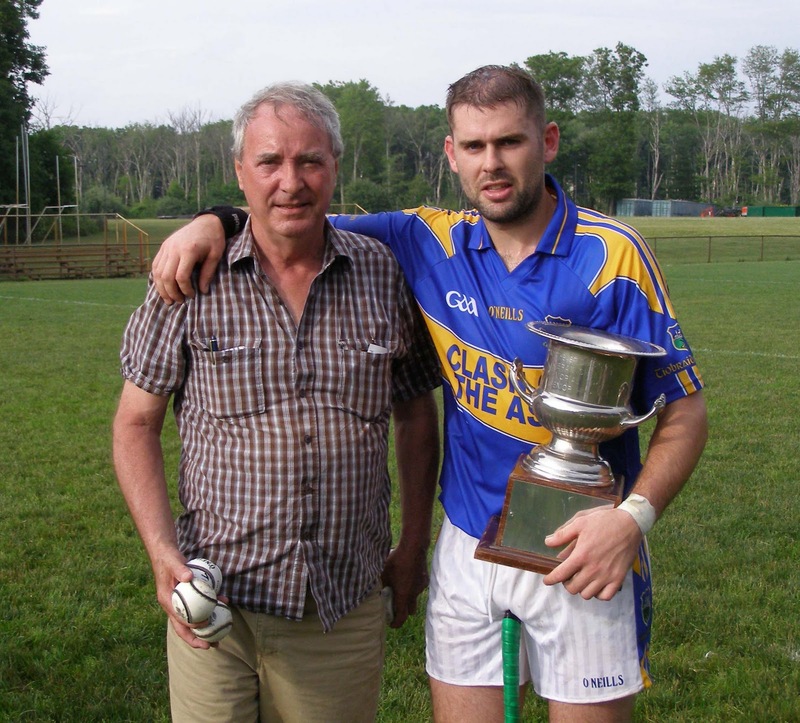 In the face of what has proven to be a very difficult environment for the Boston GAA, and the wider GAA in North America for the last several years, the Boston division continues to field more than 40 adult teams in eight competitions. This is a huge credit to the clubs and the board. In addition, there is a budding underage movement. Last season saw some new underage clubs form in Milton, Brighton, Hartford and Springfield. The seeds for the future are being planted. The AGM for the Boston Division is on February 20 at the Irish Cultural Center. Last year saw some controversial issues arise, not least the no-show for most of the Boston champions at the North American Finals in Chicago. No doubt there will be much discussion on the issue, as well as changes to sanction player rules for this coming season, and the effort required to make 2011 a successful year for the local GAA.